Wonderful Northern Lights over Tromso! 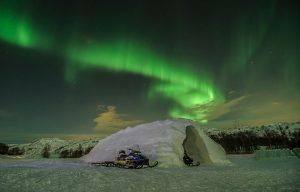 Ice Hotel, Northern Lights & Tromso is a comprehensive 6 nights tour, taking you to the best places to see the Northern Lights; the Arctic towns of Kirkenes & Tromso. 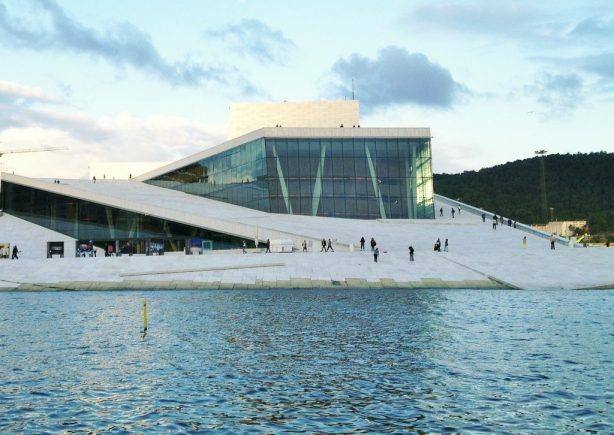 The tour starts & finishes with stays in Oslo. 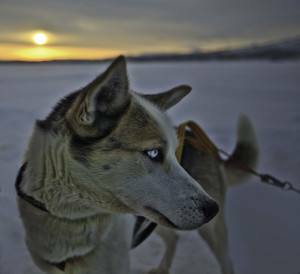 You will sleep in a real Snow Hotel, experience an unforgettable Dog sledding trip to the Arctic wilderness, a Northern Lights trip with Reindeer sledge & an excellent Arctic gourmet dinner in Tromso. Domestic flights are included in the price. 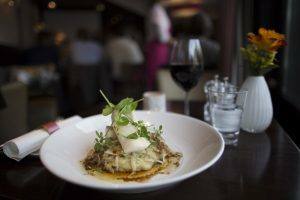 You can add activities such as Snowmobile, King crab fishing & Snowshoe trip. Individual arrival to Oslo. Check in at the Park Inn Airport Hotel (included in the tour price), conveniently located within walking distance of the airport. Morning flight to the Arctic town of Kirkenes, the “top of Europe”, located by the Barents sea close to the Russian border. Transfer from the airport to Kirkenes Snow Hotel. 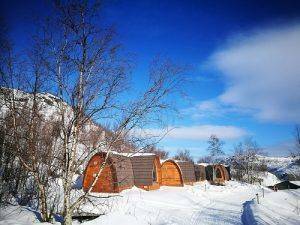 Stay in the Snowhotel’s elegantly-designed wooden Gamme cabins. Its large panoramic window and lounge chairs covered with sheepskins will give you a comfortable view on the fjord. 3 course dinner included. Enjoy Dog sledding in the Arctic wilderness! 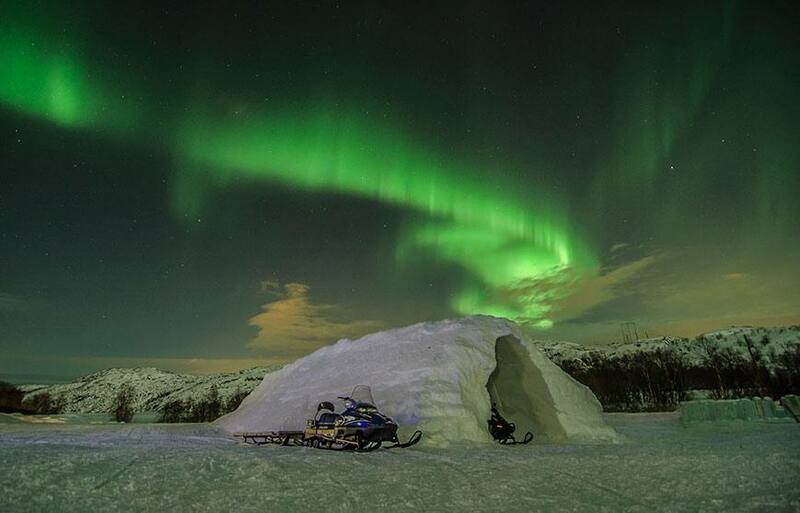 An unforgettable night at the Snow Hotel! 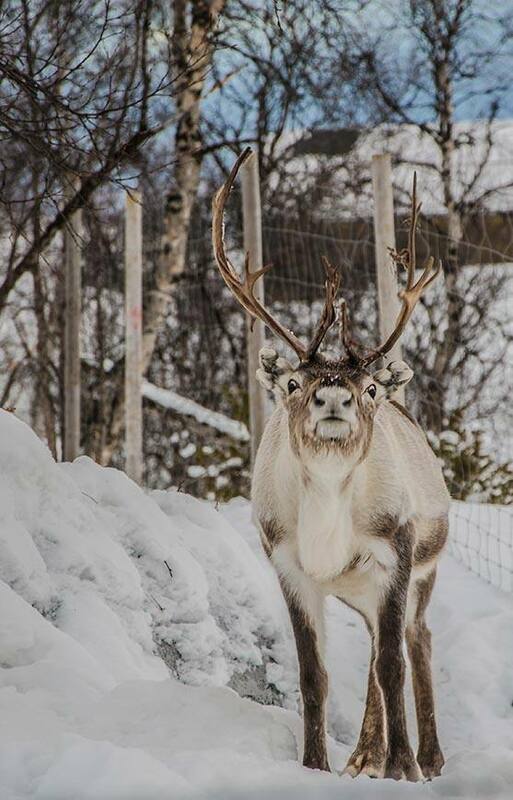 Enjoy an unforgettable overnight stay at the exotic Snow Hotel in Kirkenes – a beautiful piece of architecture with ice sculptures, surrounded by live reindeer in the Reindeer Safari Park. You can also take part in the feeding of the reindeer. 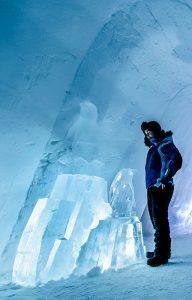 Enjoy a visit to the real Ice bar! 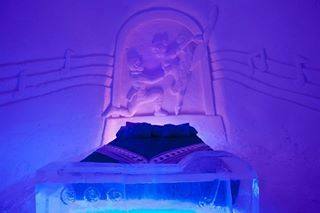 After a 3 course Arctic dinner in Laven restaurant, you can chill out in the icebar, followed by the overnight stay at the Snow Hotel. Your room is equipped with everything you need for a comfortable night’s sleep, including insulated mattresses and a warm sleeping bag to keep you warm all night long. Breakfast & sauna in the morning. You will be given thorough instructions for the overnight stay. Transfer to Kirkenes airport after breakfast. Flight to the Arctic city of Tromso, with individual arrival to a centrally located hotel. Dinner at a local restaurant in the evening. Enjoy Emma’s famous, tiny gourmet restaurant in the centre of Tromso, with her 5 course gourmet dinner based on excellent local produce. Welcome drink included. 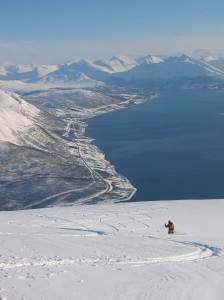 You will be picked up in the centre of Tromso for an adventurous trip to the exotic wilderness of the Tamok valley. Due to the geographical location the climate is drier and colder than in Tromso, thus offering a maximum chance of seeing the amazing Northern Lights. 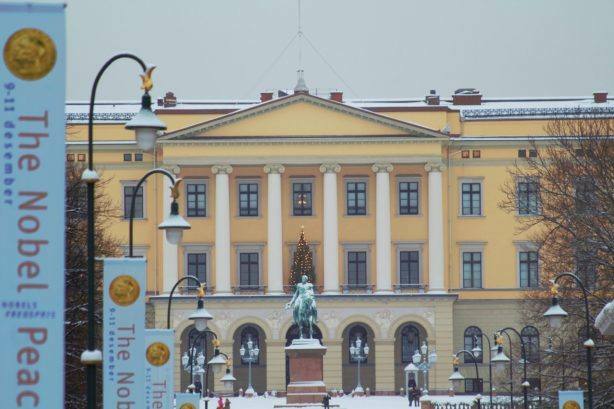 You will drive a reindeer sled, try lasso-throwing and learn about Sami culture. 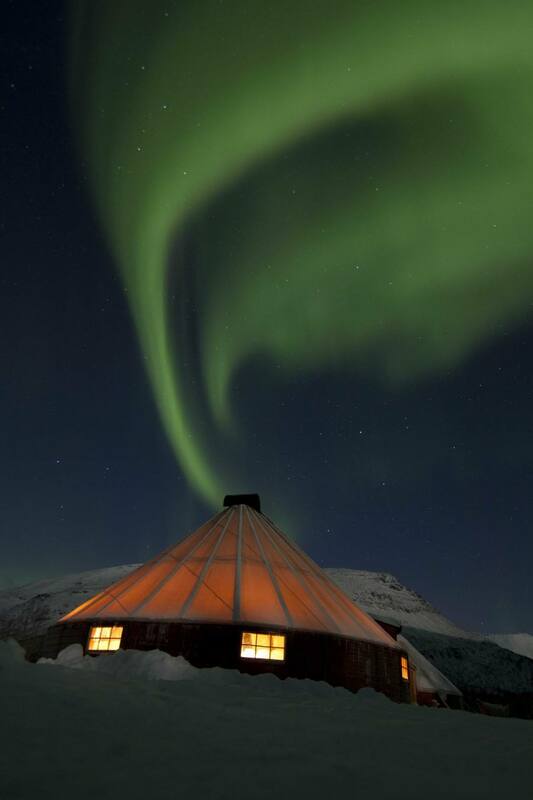 The Northern Lights reindeer sledge trip includes reindeer sledding activity, transfers, a traditional, hot meal and social time by the open fire in the Sami tent. Also included: Insulated body suit, warm shoes, gloves, headwear & head lamp. English speaking guide. The tour finishes after breakfast on day 7. 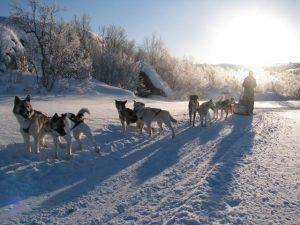 Enjoy an amazing dog sledge trip!